Building Information Modeling (BIM) is more than a fancy computer rendering. By integrating data with drawing, BIM creates a powerful, dynamic tool that allows owners, builders, engineers and designers to not just see a building, but manage it even before it’s constructed. These “5-D” virtual designs, driven by state-of-the-art software, provide numerous advantages for complex projects. Consistency: As architects, engineers, surveyors and contractors add discipline-specific data, and as ownership of a project moves from designers to builders to operators, BIM assures smooth, consistent transition of all information relating to the project. Efficiency: BIM forecasts the time and cost impact of design and structural changes before they are implemented. This information empowers stakeholders to manage the project schedule, materials and systems for maximum benefit. 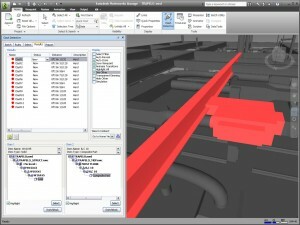 Management: BIM’s value does not vanish once construction is finished. It can be applied throughout a building’s life cycle to further improve cost efficiency by incorporating information from the various building systems. Berghammer Construction has licensed BIM software and staff members trained to use it. This futuristic technology is available for clients who see it as a solution to manage the complete life cycle of their project.